Welcome to the GamingOG's servers donation website. You're able to donate and be apart of growing the community of the GamingOG's servers. We cannon't express how grateful and appreciated we are to have wonderful people helping our visions and dreams come true by expanding our company into an amazing place for amazing people to come together and have a great time. GamingOG's is founded on great morals and respect for the communities and it's players we take pride in providing some of the best gaming server content out there and we want great people to come help out with that. All of your donations allow us to use the money to grow and expand our servers so we can provide a family friendly environment and creating some of the best dedicated hardware that we're able to. The GamingOG's server is in no way affiliated with HYPIXEL STUDIOS, INC || Mojang || Studio Wildcard || Grapeshot Games, Instinct Games || Valve Corporation, Nor should it be considered a company endorsed by HYPIXEL STUDIOS, INC || Mojang || Studio Wildcard || Grapeshot Games, Instinct Games || Valve Corporation. Any contributions or purchases made on this store goes to the GamingOG's Development Team, also known as the registered business GamingOG's LLC. For more information, support or a purchase history please contact our support services at TheGamingOGs@gmail.com or VIA Discord by clicking here: Discord. 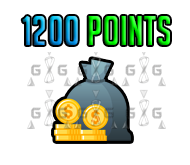 Check out our awesome featured packages, why not grab your very own 1200 Points (Atlas) ingame and buy it now! Get Yours Before It's Gone! Hello everyone! 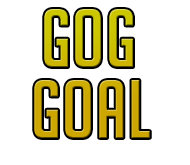 This goal is simply put to help GamingOG's LLC fund a custom dedicated server box to run a massive Atlas online gaming community. Copyright © GamingOGs 2019. All Rights Reserved. We are not affiliated with Mojang AB. You may contact us anytime using our discord link at the top of the website. Come join us!